dad goes out in the storm to help a ship in distress. As the long night passes with waves pounding against the lighthouse, fear threatens to engulf him. Can Keith stay awake and keep the lights burning? Will he worry away the night, or will he find comfort and peace in trusting God's promises? A short story. 2,600+ words. We have another beautiful short story from Miss Amanda Tero! I'm excited to introduce to you, Peace, Be Still! As I followed Keith's long vigil in the lighthouse during a storm, I was reminded of the challenge and peace of trusting in God as our Refuge. As Keith keeps his post trimming the lighthouse lamps and watching for his father, who is out in the storm, he faces the questions we have all asked: will I trust God or allow my fears to control me? Will I believe the winds and waves still obey His voice? And will I help others to trust Him, even before I know how the storm will end? The answers to these questions beautifully unfold in the pages of Peace, Be Still. Amanda's gentle, simple style also transported me to 12 year old Keith's mind and emotions. I experienced the flicker of the lamps, the groans of the wind against the lighthouse and Keith's battle between fear and trust. The child-like style makes it a wonderful gift for children and grandchildren, while the timeless lesson of trust also makes Peace, Be Still a beautiful read for all ages. Peace, Be Still is now available in both Kindle and print format. Please also check into the other blog tour reviews and giveaway at the end of this post. 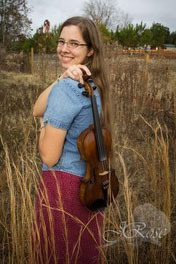 Amanda Tero is a homeschool graduate whose desire is to provide God-honoring reading material that challenges the readers to consider their walk with God. She has currently published several short stories which can be found on Amazon or her website. 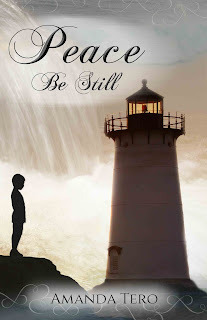 Enter the GIVEAWAY for a print version of Peace, Be Still and a decorative Faith Building Block! Thanks so much for having me on your blog, Kenzi! :) You have been so encouraging throughout the process of getting this short story from draft to publication! My pleasure, Amanda! I'm excited to see what Jesus has in store for "Peace, Be Still".